Are you tired of your decor? 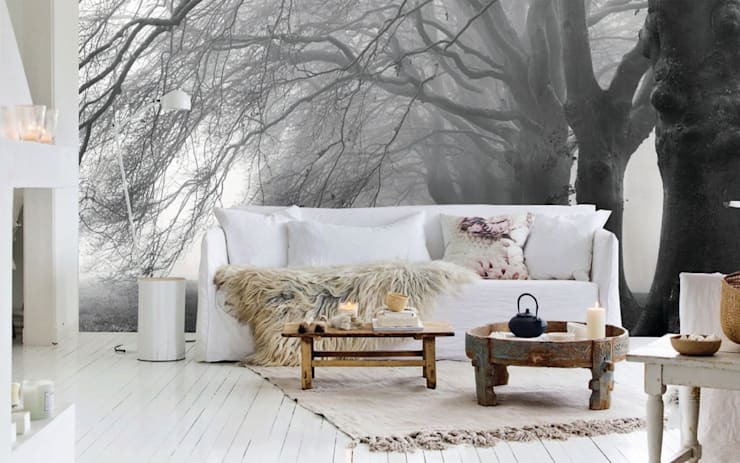 Looking for ideas to upgrade and enhance your interior in chic style? 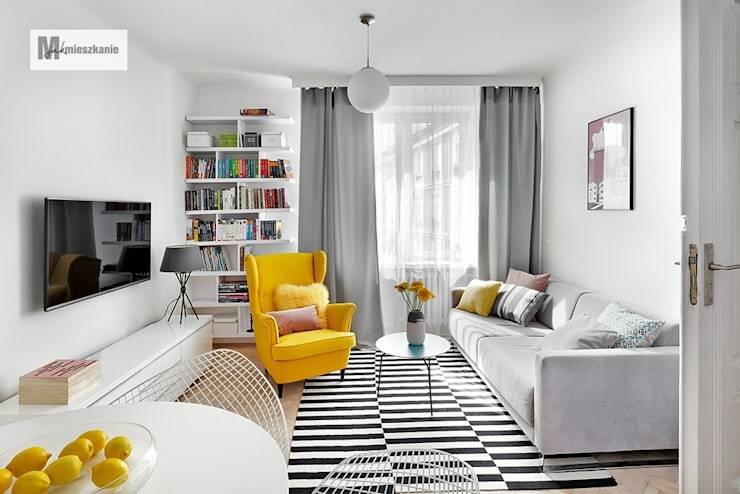 Well, this homify feature includes 24 awesome and affordable tips and tricks to decorate your home with elegance and sophistication in mind. 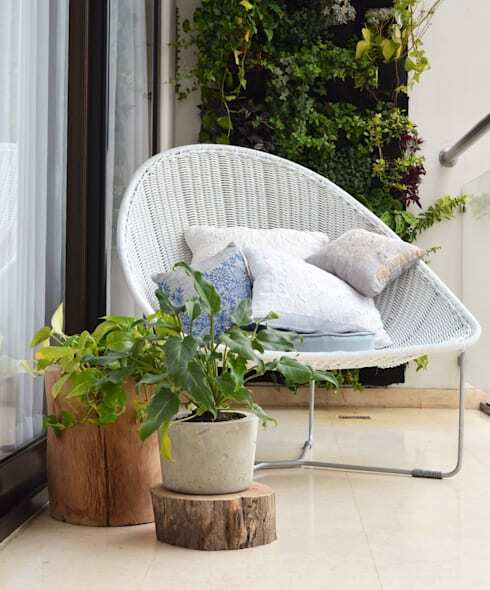 The interior designers compiled the easiest DIY decor methods for you to mull over, in a bid to transform your living space from dull and dreary to delightful. Now, let's be inspired! 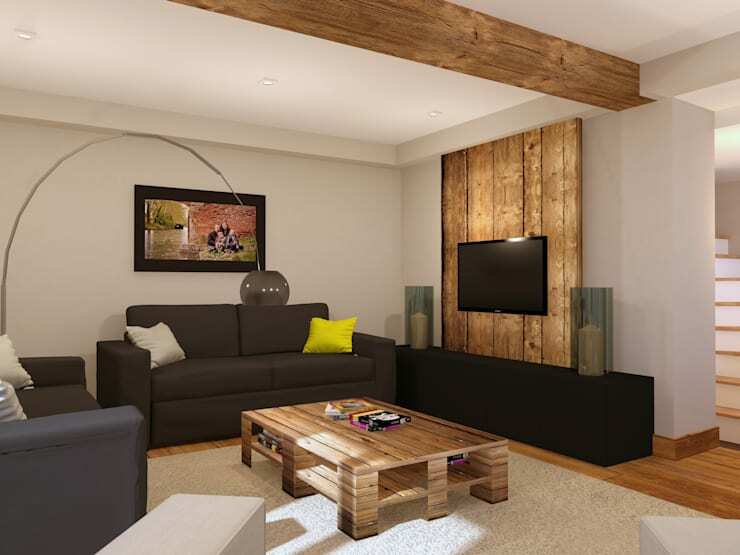 Utilise old wooden boards or pallets perfectly and design a simple coffee table for your living room. You will need to sand teh wood to remove splinters and varnish the table to protect it from spills. An abandoned and useless car will be a fantastic eclectic sofa. How's that for eye-catching? Flat tyres can be upcycled to create a fancy outdoor table for your patio. 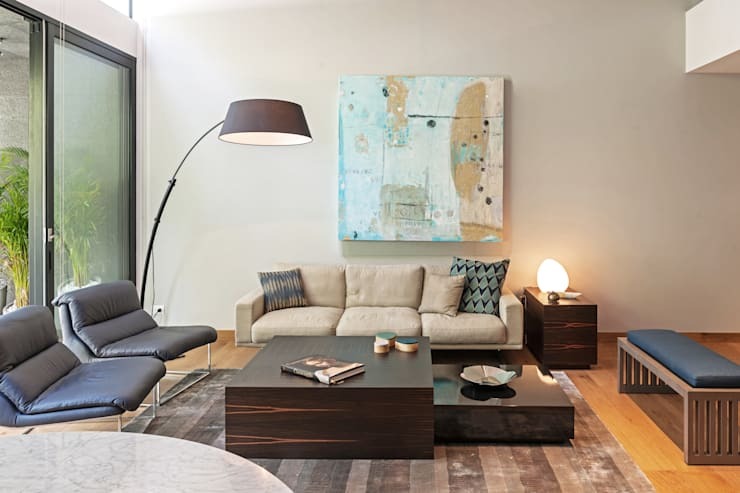 Switch up the placement of your furniture for that fresh and fascinating look! 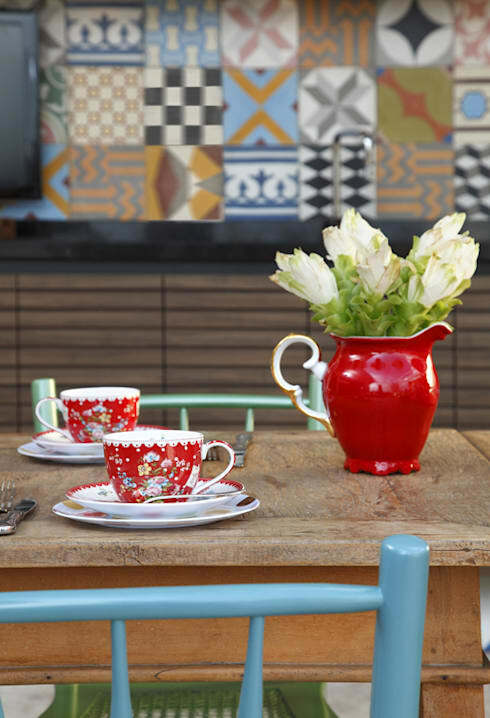 We all have multiple incomplete sets of fancy crockery, but instead of throwing them away, use them to decorate your kitchen walls for a rustic look. Use and old and outdated tea jug as a vase for your beautiful flowers. 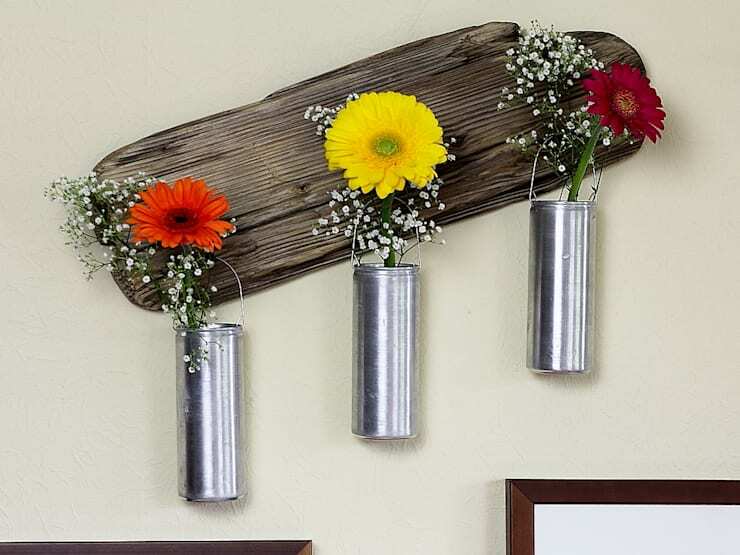 Strip old paint off soda cans and use them as hanging vases for a pretty floral display. 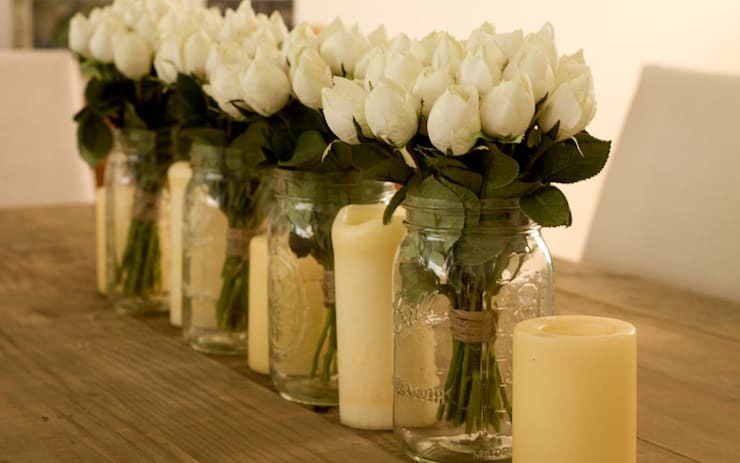 You may have many old glass jars at home, so think about ways to use them as chic vases for special occasions. They'll take up less space and can be a wonderful centre piece. 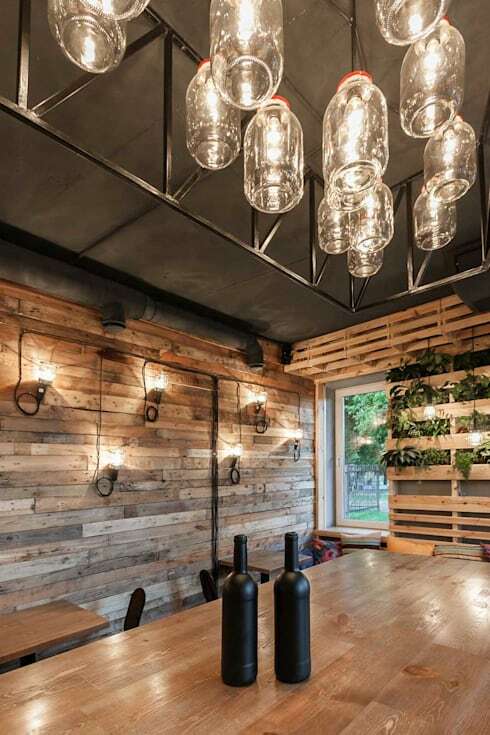 Bottle lamps are excellent to enhance a romantic ambiance in your patio. Sort books in order of colour and height so you always know where to find the book you're looking for. 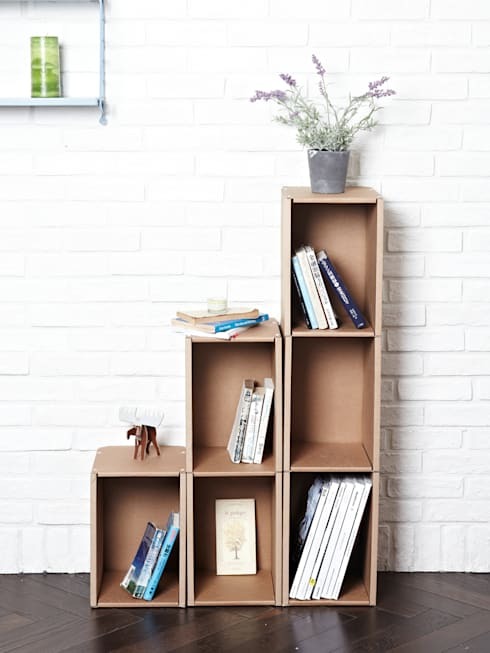 Old boxes or beer cartons can be converted into an elegant shelf, all you need is hot glue and a box cutter. Now you can maintain order efficiently. 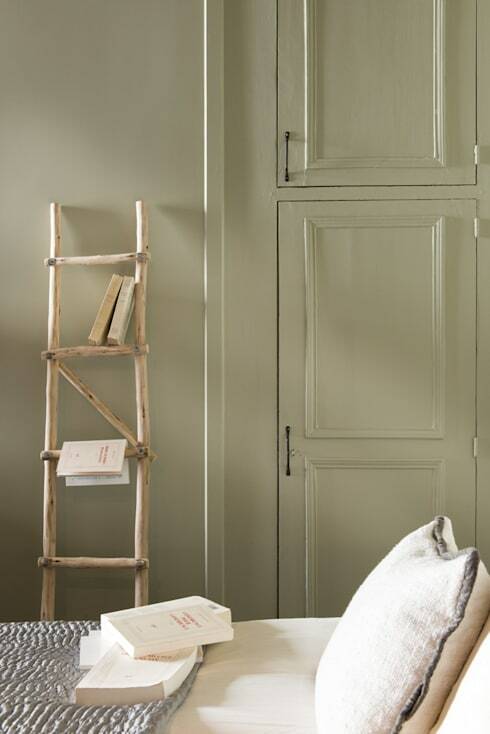 An old wooden ladder can be used as a simple bookshelf in the bedroom or clean it up and store your towels there for the bathroom. Are there books you no longer read? 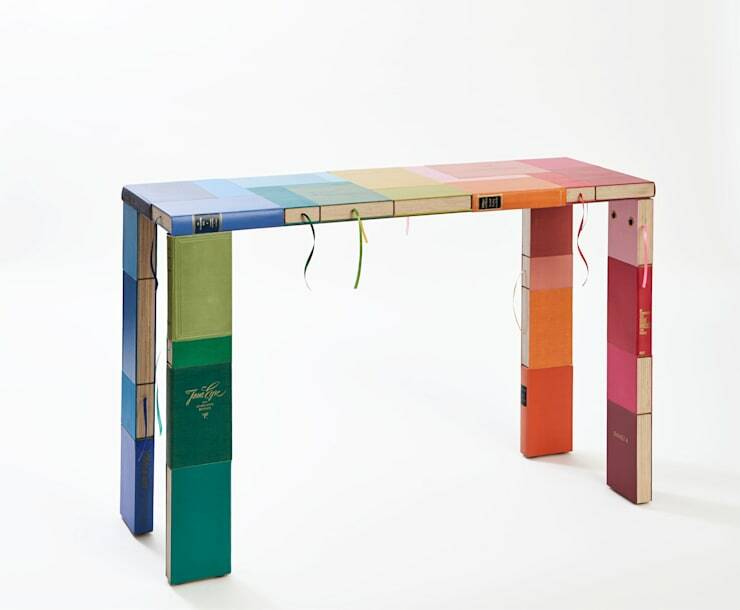 Then how about turning them into a creative table for a colourful home of imagination! 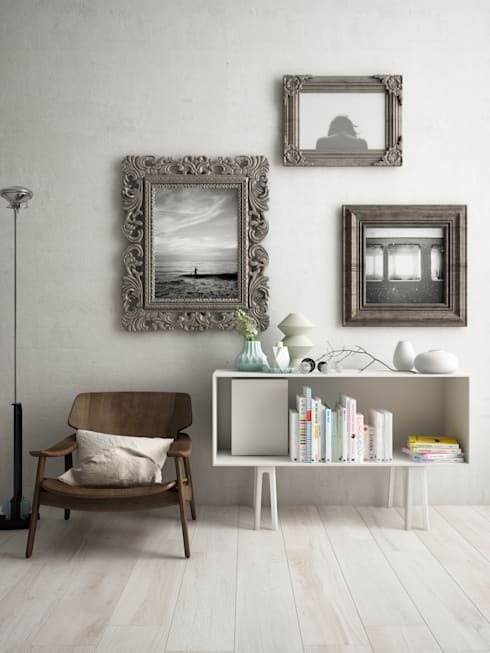 Monochrome pictures and old paintings are great to showcase your personal style and taste. 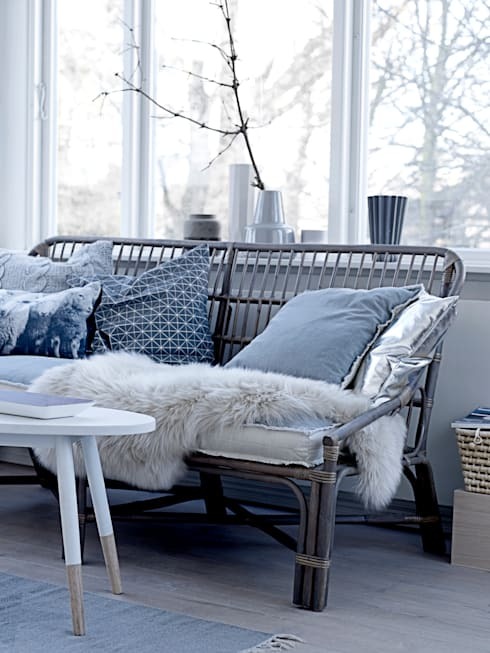 Include a cosy blanket to renew your tired and worn out sofa. Cushions are a versatile and fantastic decor element for your couch, but that doesn't mean you need to go for the designer option, old T-shirts are a unique alternative. Wall space is always amazing for hanging items, so don't leave your bike out in the cold. 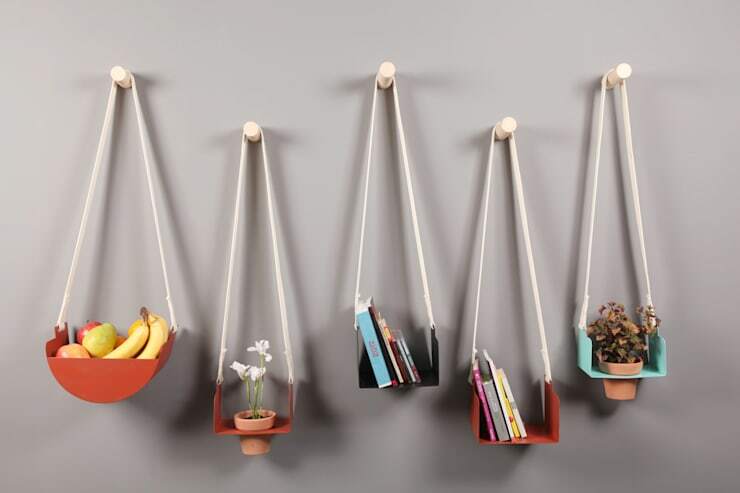 Hang your small items against the wall and you'll never have to look all over for your keys again. You'll save counterspace too! 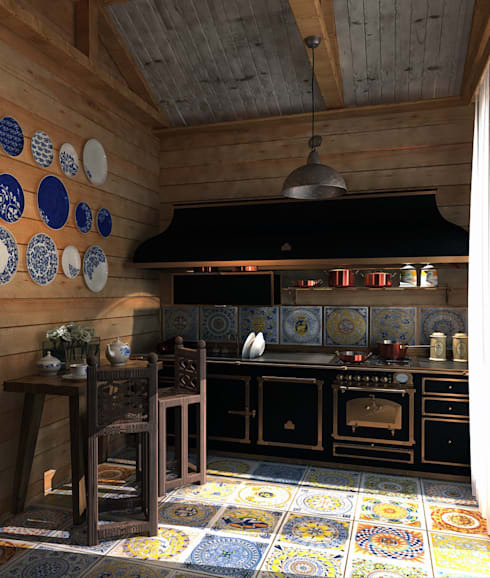 An outdoor fire area is great for anything from grilling or socialising on a chilly winter evening. 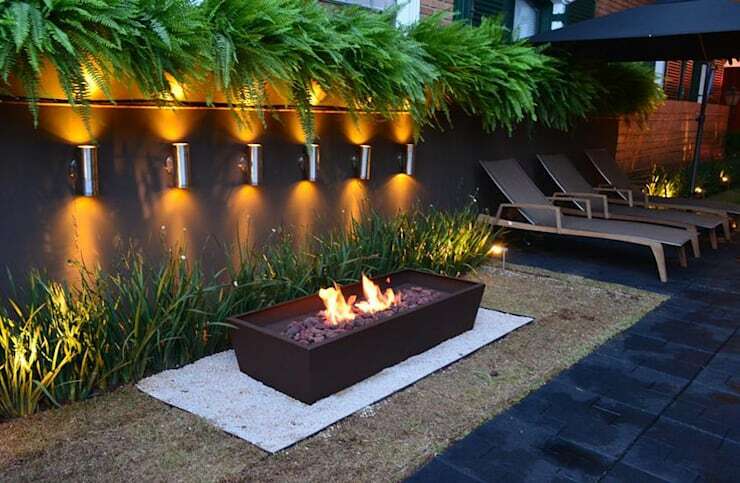 A planter makes for an awesome fireplace. 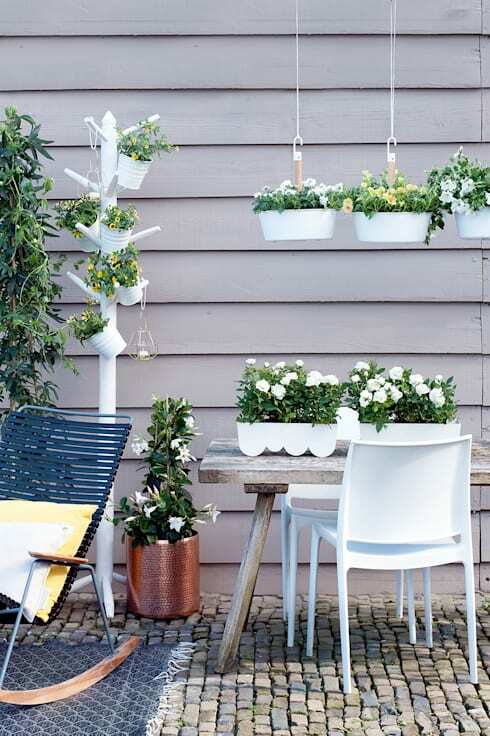 Paint an old coat rack and place some pretty petite pot plants here for an enchanting garden style. 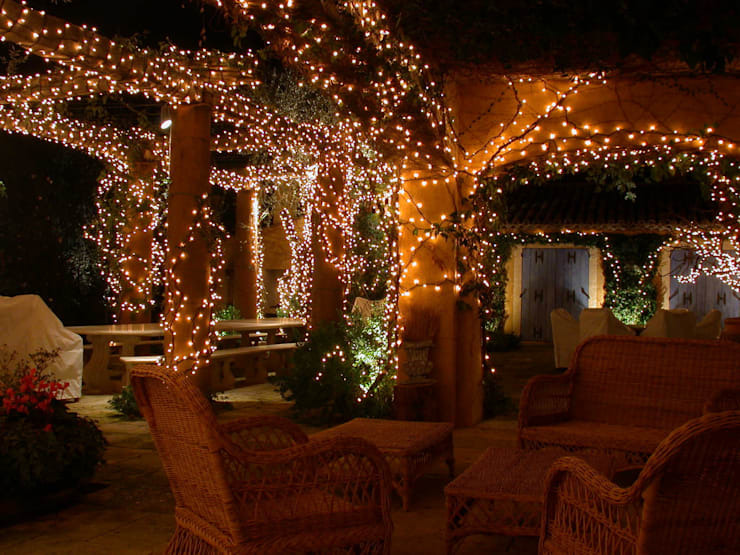 The lights of your Christmas tree doesn't need to only come out at the end of the year, instead incorporate some chic lighting to your terrace for a welcoming atmosphere. A vintage wooden trunk is great for storing items that you don't need all the time and it can make for a statement feature in a bedroom too. Repurpose that luggage and create some amazing bedside tables for your bedroom? 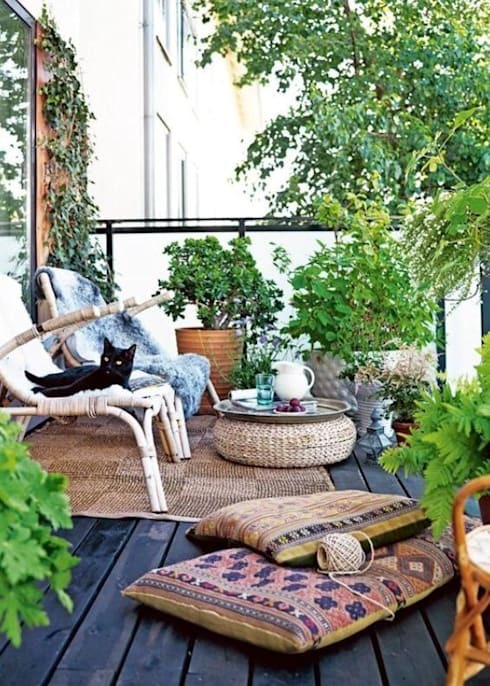 An odd tree trunk is a cosy table for the terrace. How about these 7 easy DIY backyard projects? Which of these 24 ideas are you considering for your home?